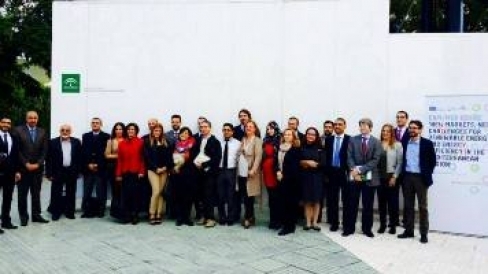 The fifth MED-DESIRE Technical & Scientific Committee meeting took place in Seville-Spain on Wednesday, 12 November 2014, just before the first International Capitalization event of the project. The meeting was organized by the Andalusia Energy Agency (AAE), with the support of the Coordinator Puglia Region and its agency ARTI, and involved all the nine partners. The TSC was mainly focused on the progress of the technical activities planned in the WP5 Certification and WP6 Financial instruments. In addition, the partners have widely discussed the plans for WP3 Capitalization and WP7 Awareness Raising on the basis of the information and suggestions they sent in the previous weeks. The discussion about the preparation of the Interim Report and all the related administrative and financial issues concluded the fruitful meeting. The partners will meet again in February 2015 in Alessandria, Egypt.